Beautiful, Upscale Condo. Shuttle to Ski, Walk to Nightlife!! This Condo is upscale and built in 2008. It is Beautiful inside and is located in one of the best locations in the town of Winter Park... This is your calling, whether you come for winter fun or summer sun Winter Park is heaven on earth. Your condo is located in downtown Winter Park next to the best restaurants in town and a short Free shuttle ride to the slopes in the winter. Hernando's Pizza is a locals favorite; Fontenot's has incredible food, The Pub is only 300 yards away and has a great night-scene, Randi's and more are all walking distance from this perfectly located condo and have some of the best food and entertainment in the area. Also check out Strip and Tail for great steaks and Tabernash Tavern for unique dishes. Devils thumb is about a 30 min drive that offers all kinds of activities. In the winter, you will enjoy world class skiing with free shuttle service to the mountain just around the corner, and in the summer, the mountain biking and golf are some of the best in the Rocky Mountains. Winter Park also has some fantastic music festivals. This elegant condo is 1236 square feet and has 2 bedrooms, 2 baths with full size washer and dryer, so stay the week. It also has a heated garage and a 48-inch flat screen SMART TV with DVD player. The Master bedroom has a queen bed with access to the deck, and the 2nd bedroom has 2 twin bunk bed with memory foam top bunk. The kitchen has all the amenities of home. 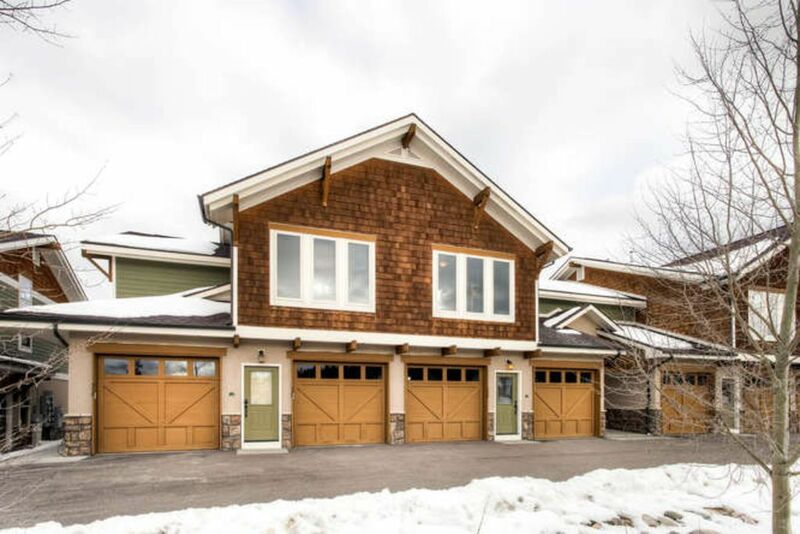 Telemark was featured in the 2006 Grand County Parade of Homes, and winner of the Best Architecture Award! Come stay with us and you will see why Colorado has some of the best skiing in the world. I think you will find that Winter Park is the best kept secret of all Front Range ski resorts. I am a lifelong skier that loves the winter and the mountains of Colorado. How can you beat this place? Winter Park was onced described to me as Steamboat 20 years ago. It has the best moguls in the world and some of the best terrain around. In Winter Park the people are nice, the views are spectaclular and for kids they have all kinds of things to do. This property is within walking distance from the whole town. Some of the best nightlife and restaurants in Winter Park are only a 100 yards away. This condo was furnished with everything you could want. Nicely furnished condo with heated garage walking distance to restaurants. Great condo for our family of four ski vacation. Fully stocked kitchen, clean, and two comfortable bedrooms. Nice condo, comfortable for a family of six. Restaurants within waking distance. This place was perfect for us! A garage to park in, the kitchen had everything we needed, extra towels in the bathrooms, board games to play, cozy couch with a fire place, nice decor, and all within walking distance to several restaurants and bars. I recommend checking it out! spacious kitchen and well stocked with cookware, etc for preparing meals. Great back patio with view for hanging out & grilling. Easy walking access to the town of Winter Park. Great place overall. Great condo close to everything. Owner very helpful and accommodating. Owners were very responsive and accommodating. Property was very clean, in good condition, well stocked and centrally located. Would definitely recommend. As a family of five we were comfortable. There are also lots of other activities in the area such at World Class Cross Country skiing at Devils Thumb, Snowmobiling, Fly Fishing, Hiking, Tubing, Snowshoeing, etc. All the Rocky Mountains have to offer.